The Stadia logo on display outside the Game Developers Conference 2019 in San Francisco, March 18, 2019. This week, Google announced its fancy new Stadia game-streaming service to the world—though the question of just how the tech giant is planning on monetizing it remains quite open. It’s not clear whether users will gain access to Stadia’s stable of games by purchasing individual titles, paying a monthly subscription fee, or even be able to play for free in an ad-supported model. Speaking to Business Insider on Friday, some industry analysts were skeptical that the last option is viable, given the immense costs of developing blockbuster game titles and the need for development firms to know they will be able to turn a profit. Gamers are also notoriously fickle, and many are already reaching the end of their patience on nickle-and-dime tactics like microtransactions, so it’s hard to see them adapting well to a model that requires interrupting their playthroughs every so often to be bombarded with ads. Ultimately, however, the expenses of running an ad-supported model may be too great for Google to bear. Existing competitors typically go with subscription models. Google VP Phil Harrison suggested to Polygon that the service will require spending immense amounts of money to work in the first place; Stadia will be, at least in theory, simultaneously streaming games at HD resolutions at high framerates to millions of users, and it’s suggested that it will have the capacity to do so at far higher graphical fidelity (and scale, such as 1,000-player Battle Royale matches) than existing consoles. 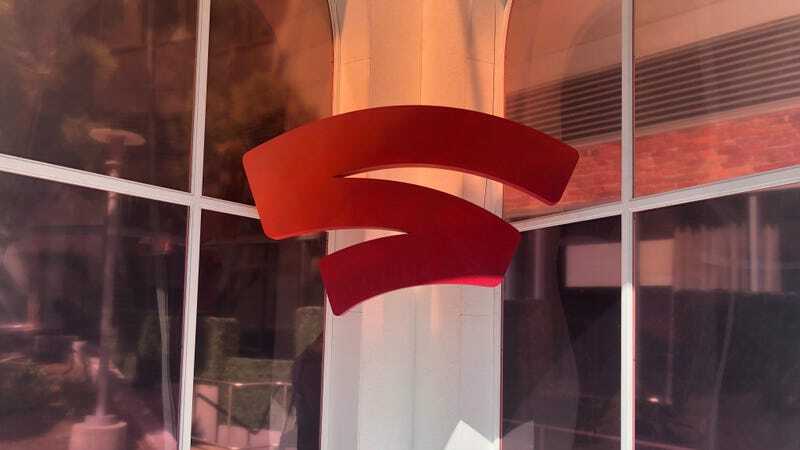 Beyond how, exactly, users will gain access to Stadia, other questions about the service remain. One is whether foregoing ownership of individual titles in exchange for access to a streaming platform that can set its own terms is worth the tradeoff. Another is whether Google can build partnerships with industry players wary of upheaval and/or jump wholesale into in-house game development, a tricky business that sometimes goes horribly wrong for even industry titans like Bethesda (the ruinous release of Fallout 76, for one). As the Verge noted, Google is also leaning heavily into YouTube and Twitch integration as a promotional tool, as well as a Crowd Play feature that will allow gamers to play with their favorite streamers, but pulling this off without exposing those streamers to harassment and trolling could be difficult.